TRITON, RAIJINTEK’s first Liquid Cooling System in the well known All-In-One design, designed in Germany and made in Taiwan. With several years of experience in Liquid cooling products and the cooperation with German Engineers, RAIJINTEK’s RD team developed the concepts of most performing DIY liquid cooling components and spent years to design one of the best performing and expandable All-In-One Liquid CPU cooler for enthusiasts. TRITON’s copper water block is a new concept design of micro channels, extra large contact fin area with 2 flow channels for the best direct flow of liquid. More than this, TRITON’s Pump, also new and exclusive, designed for high Q-Max, low dBA, and contains a reliable Bearing type. Not only a new design pump and water block are used, TRITON’s radiator is also using high density design fin radiator. 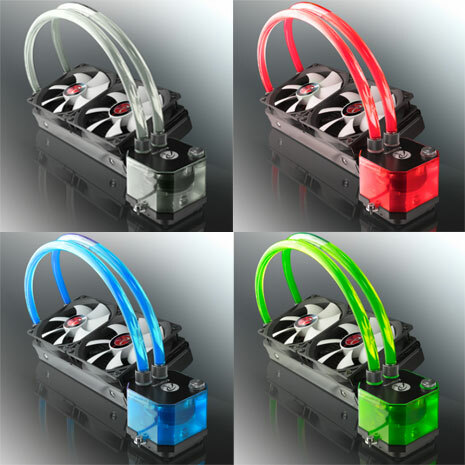 TRITON is not only one of the best performing All-In-One liquid cooling at the market but it is the most user friendly AIO cooler in the world by the pre-filled liquid, providing 3 small bottles of different color for your scheme and by your convenience, a fan controller with wide RPM adjustable range of 2*12025 fans, a solid mounting kit, is compatible with all modern sockets of Intel & AMD at market and an easy installation. TRITON, already breaking the boundary line between DIY & All-In-One, brought to you for the joy of friendly design and the surprisingly efficient performance.